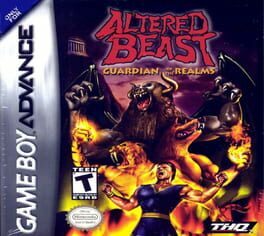 Time until Altered Beast: Guardian of the Realms release day! Zeus, creator and ruler of the Guardians of the Gates, raises you from your grave! You must go fourth and defeat a new, unknown evil that has destroyed the Guardians and ravaged the universe. To do so, you must collect the keys and Essence of each land, transforming you into beasts with unnatural powers and special abilities. Conquer this evil and you will become the sole Guardian, the protector of the universe.